You want to organize an outing for members of an association, members of a group, employees of your company, a birthday, a bachelor party or a cousin? 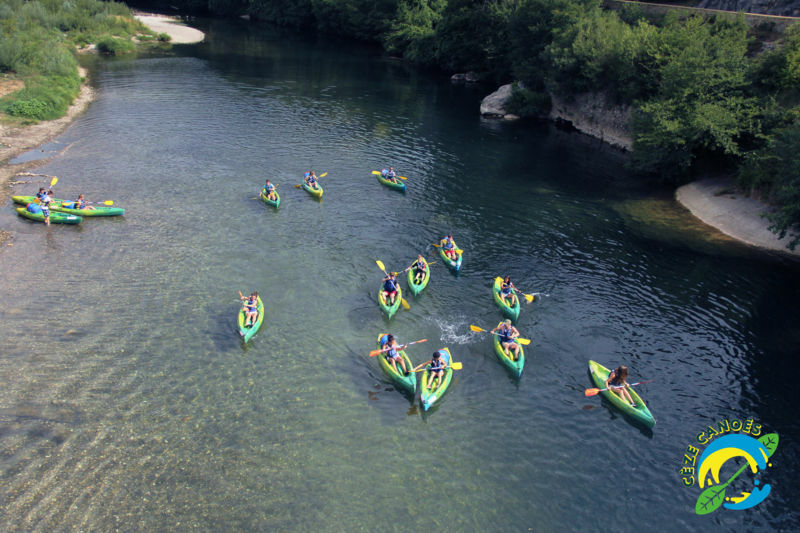 The nautical base Cèze Canoës, located at the foot of the Gorges in the Cèze Valley, offers courses of 5km, 7km, 12km, 14km and 19km by canoe, kayak or stand-up paddle. Free or framed activities. As part of our program Time Nature we offer fun and friendly activities - with or without supervision - around the riches of our land to make you live a unique experience! Our program Time Nature is also part of a network of partners (horse, guided tour of the Cave of the Salamander, caving, Nordic walking or pedestrian) to help you discover our environment and heritage through recreational activities. We offer a LOT OF LEISURE, along the Cèze, with a picnic area, a relaxation area with private access to the beach and a petanque. Private parking. To make your trips easier and more economical, our buses can pick you up at the station or other meeting points. Sanitary : toilette, hot and cold shower and booth to change. Means of payment : cash, credit card, ANCV holiday check, check, transfer.